The Pillar Stand from Nikon is designed specifically for the 20x120 III Binocular Telescope. It is constructed from a rigid alloy that is corrosion-resistant and built to stand up to the elements. 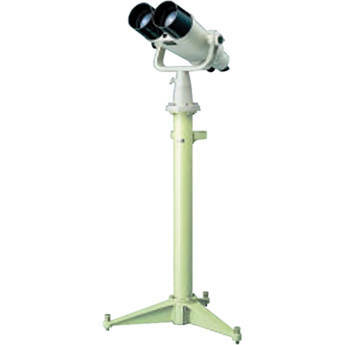 The Pillar connects to the yoke mount of the binocular using six bolts, and it even matches the cream-colored finish of the binocular and mount. Box Dimensions (LxWxH) 44.0 x 17.06 x 12.0"